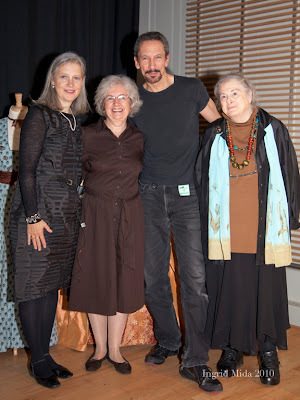 On Saturday, the Friends of the Textile and Costume at the Royal Ontario Museum hosted an event called Costumes on Stage which featured co-director of Opera Atelier Marshall Pynkoski, freelance costume designer Martha Mann, and costumer/cutter Rita Brown. As the event photographer, I had only half an ear open to the presentation but I managed to scribble down a few notes nonetheless. Marshall Pynkoski, co-director of Opera Atelier, spoke with great enthusiasm about his love of the 18th century as inspiration for his productions. 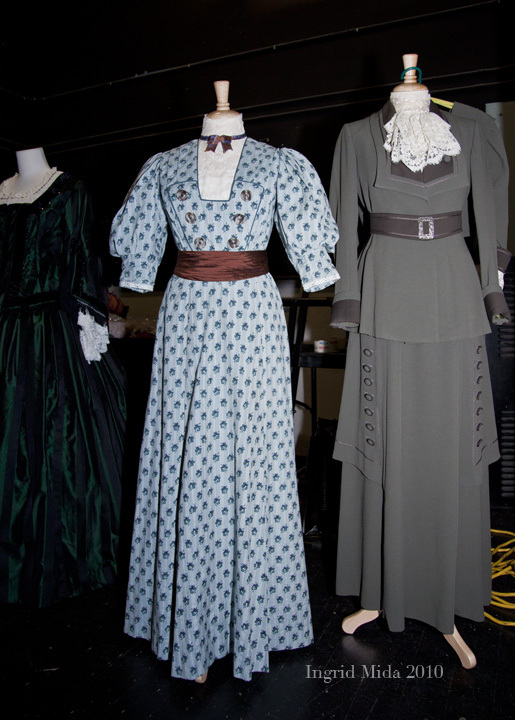 One of the challenges he expressed was how to bring forward the depths of emotion from the actors so that the production did not become "just a parade of gorgeous costumes". 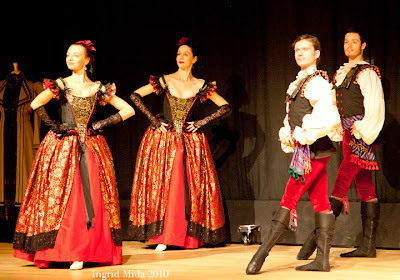 To show costumes in motion, four Opera Atelier dancers took to the stage. 3. 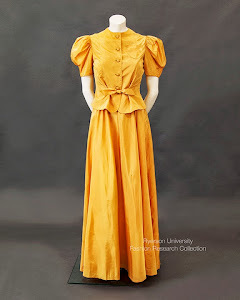 Research: a process which includes looking through picture files, paintings, books to identify motifs for the period, silhouettes and shapes of clothing, colour and styles of fabrics. Although the sketches are "final", there still is much work to be done and that is when someone like Rita Brown steps in. Before cutting can begin, the concept for the costume may have to be modified depending on the size of an actor. As well, the availability of fabrics can affect the desired result and must be considered. A cutter must work closely with the designer and the actor through the various fittings to help define the character in visual form. 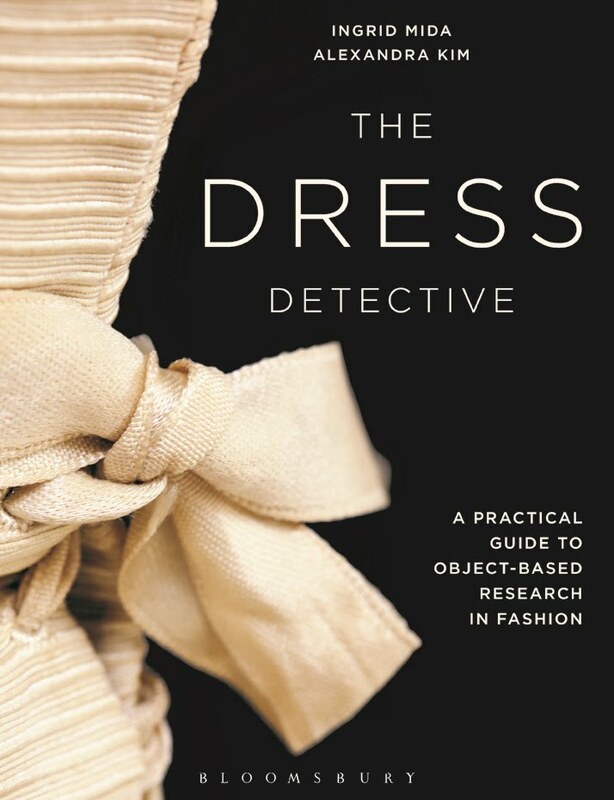 According to Rita Brown, a "successful costume as one that is a blend of illusion and reality, clearly delineates the character, costs little, and wears forever". For both designer and cutter, two key challenges were identified. 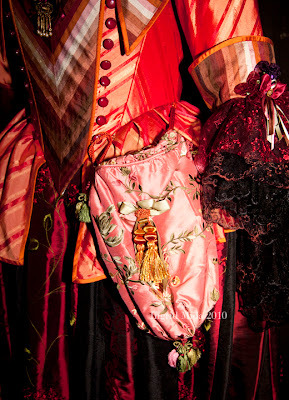 One was that the modern body is not corseted from a young age and that affects the creation of costumes with a defined period silhouette. 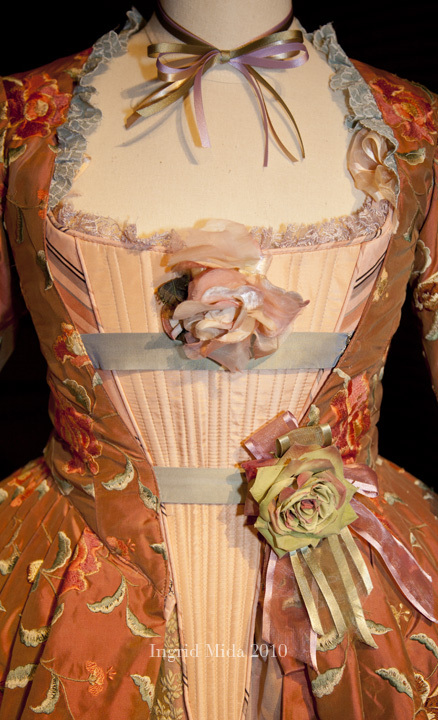 Actors must be able to breathe and move freely and tight corsets are not comfortable on modern bodies. Another issue was the availability of fabrics for period productions. Since the stage never deals in reality, finding and choosing a fabric that meets budgetary constraints and which creates the illusion of belonging to a certain period is necessary. In Martha Mann's words, "a costume will always reflect the aesthetic of now."